DEKSI Network Monitoring Suite is a set of three award winning network software tools for network mapping, network monitoring, and bandwidth monitoring. Windows 9X, NT, 2000, XP, 2003 Server, 2008 Server, 2012 Server, VISTA, and Windows 7, 8, 8.1, and 10 compatible. DeviceLock Plug and Play Auditor is a non-intrusive clientless software solution that generates reports displaying the USB, FireWire and PCMCIA devices currently connected to computers in the network and those that were connected. Its multithreaded engine ensures fast, unobtrusive auditing of all activity on any computers in an organization. DeviceLock PnP Auditor stores, compares and filters the data it receives from all the computers. 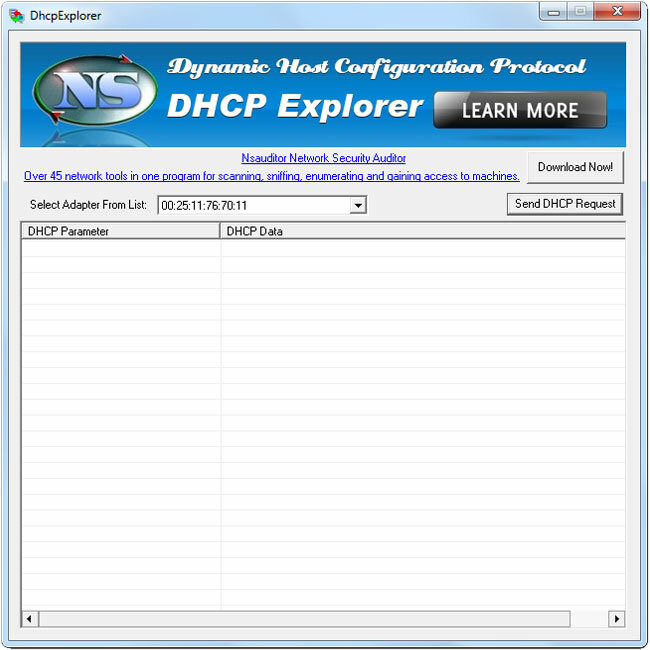 DhcpExplorer tool allows you to discover DHCP servers on your local subnet or LAN. This is useful for locating servers that are not supposed to be on your network ( rogue DHCP servers ) as well as checking the expected output of known servers. The tool is designed with a user-friendly interface and is easy to use. A DICOM protocol analysis and simulation software tool dedicated to PACS administrator, DICOM servicemen, programmers, and radiologists. 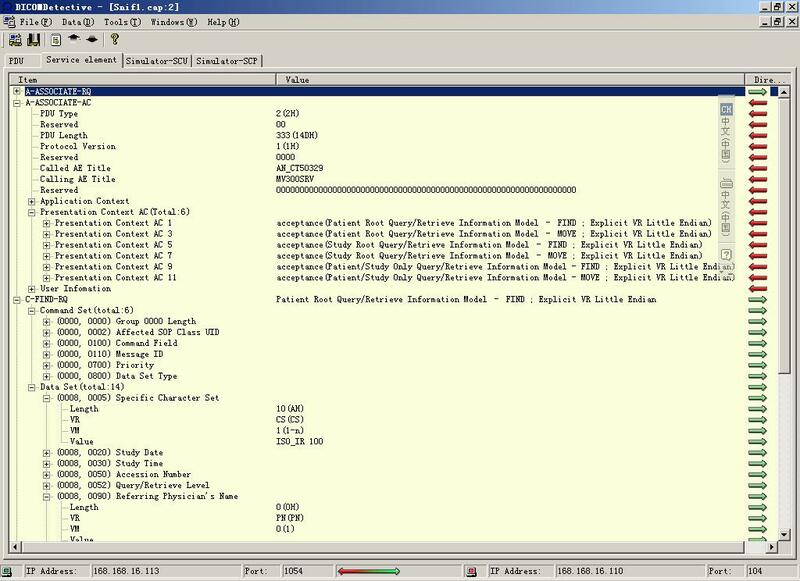 Using the DICOM Detective, PACS maintenance people and DICOM servicemen can analyze the DICOM communication problem online immediately and DICOM programmers can simulate the DICOM communication offline, trace and debug their program without traveling onsite. Query Product ID at service@dicomtool.com. 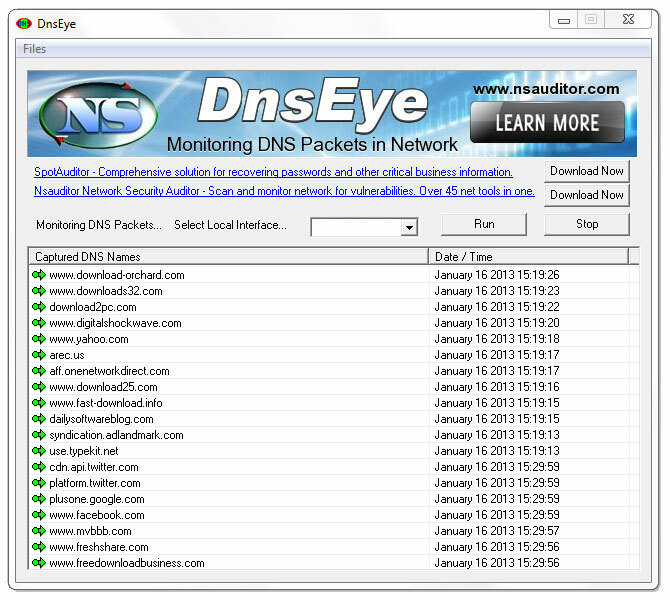 DU Meter monitors your computer's network bandwidth usage. It shows real-time graphs and can create detailed reports based on your downloads and uploads. DU Meter can discriminate between Internet and LAN, calculate network traffic costs. It can also alert you if your downloads exceed preset limits - can block network connections and prevent further charges. Works with any kind of network connection, very light and unobtrusive.